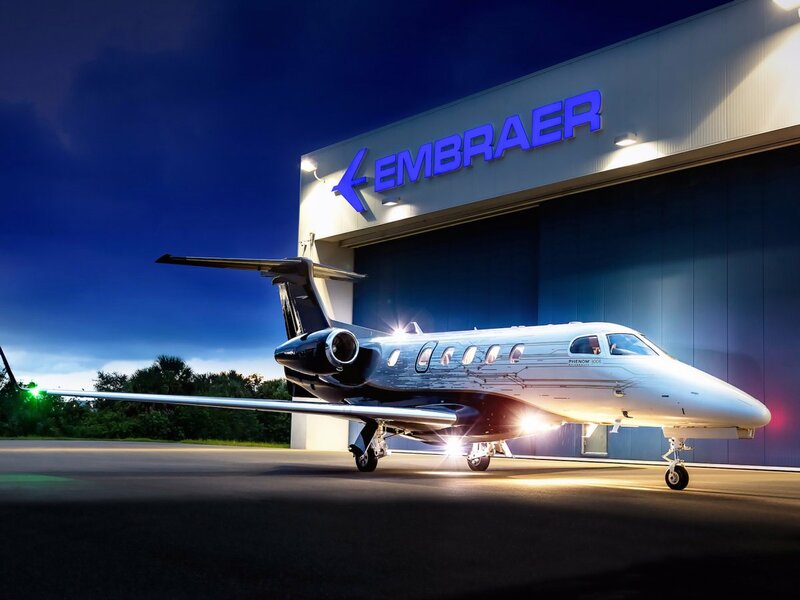 The Phenom 300E, standing for Enhanced, is a significant upgrade compared to its predecessor, with a new interior design and more advanced avionics. 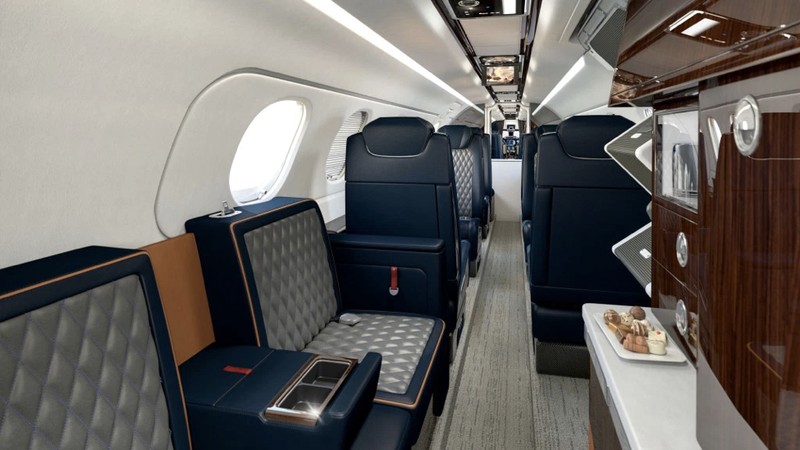 Seating six to ten passengers, the cabin features wider aisles and new diamond stitched seats that resemble those of a luxury car. A divan, galley, and full lavatory at the back of the cabin ensure complete comfort is met on every flight. Cabin technology is discreetly hidden in both the center roofline and under the armrests. Passengers will experience a new cabin management and in-flight entertainment system at their fingertips. Additionally, high speed Wi-Fi on board keeps passengers connected to the ground at all times. Flying at an altitude above almost all commercial airline traffic, the Phenom 300E can cruise at 521 mph. With a range of more than 2,200 miles, the Phenom 300E can reach almost any two points within the United States. Two Pratt & Whitney Canada PW535E turbofan engines power the aircraft, producing 3,360 pounds of thrust each. The Phenom 300E’s cockpit is equipped with a Prodigy Touch Flight Deck running Garmin 3000 avionics. With significant improvements, the Phenom 300E will not doubt be one of the most delivered business jets in the world like its predecessor. This new aircraft is priced around $10 million and is expected to begin making deliveries to customers in early 2018.